Kat Von D’s Shade and Light Contour Palette Review and Tutorial! Finally, I’ve had some time and motivation to do this post! Happy weekend to you all and let’s begin the review. The Kat Von D Shade and Light contour palette was launched early 2015 and it has been a very popular purchase among makeup addicts like myself. Like the other palette from Kat Von D’s line, the case is rectangular case made of sturdy cardboard with a mirror inside. There are 3 light shades, levitation, lyric, and lucid. Levitation is a light pinky peach color, lyric is a pale yellow color, and lucid is a light apricot color. It’s nice having different light shades instead of one. Also the palette has 3 contouring shades, subconscious, shadowplay, and sombre. Subconscious is a taupe shade, shadowplay is a warm light brown, and sombre is a warm dark brown. The shades are quite warm toned so I’m not sure how it will fair on cooler skintones. Levitation and subconscious would be the coolest color pair in the palette. The formula is awesome! Like her eyeshadows the powders are very silky and and buttery. It doesn’t feel dry which is a relief to my dry skin. The pigmentation is also great. You can go as sheer or dramatic as you want. It sets on the skin really nicely and and blends like a dream! 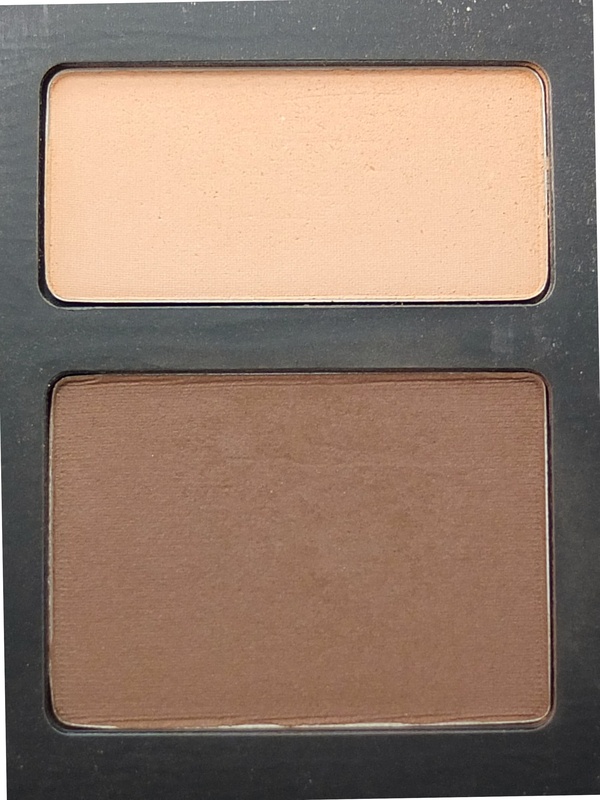 It’s really easy to apply and its a great contour palette. Now here’s the palette in action in the pictorial. First, I primed my face with MAC prep and prime and then I used MAC mineralize moisture foundation. Start by framing the face. Using the dark shade of your choosing, shade around the hairline and underneath and the edge the jawline. Using shadowplay to frame the face. Using sombre for more definition. Then taking the same or different dark shade, shade the right below the cheekbones. Start at your ears and down to the corner of your mouth.Then blend so that there aren’t any harsh lines.I also contoured my nose. With a smaller shading brush go along the sides of your nose. Start from where your eyebrows start and line all the way down. You can also shade under your nose. Using lyric to highlight the face. Then take a light shade and shade and blend between the two lines on your nose. you can shade up to your forehead and down to the top of your chin. With that same color highlight above the contour line on your cheekbones. Blend together in a circular motion. Your basic contouring done! This palette looks really nice. I think I want it over the Anastasia Beverly Hills Contour Kit! Next article My Summer Foundation!